One of the 4 subjects I took was Physics. My percentage uniform mark for Physics was 93% in AS Level and 95% in A Level. Do you want to know how to score in AS and A Level for Physics? Here, I am posting the complete tips for AS and A Level Physics. When studying a chapter, read through all the explanations in my notes or in the reference book sentence by sentence. Make sure that you truly understand each sentence before moving on to the next sentence. You also need to know and understand all formulas. Certain topics may require understanding of earlier topics, so make sure you understand those topics. You should also try to relate them to what your teacher had taught in college or school. You should understand how the mark schemes are used. In the mark schemes for Physics, there are 4 types of marks, which are M, C, A and B. The A marks are always dependent on the M marks, which means that A marks can only be scored if the M marks are also scored. If a question does not have M mark, then the A mark can be scored on its own. C marks are automatically scored if the subsequent M or A mark is scored, even if the points for the C marks are not written down, but if the subsequent M or A mark is not scored, then the points for the C marks must be written down in order for the C marks to be scored. On the other hand, B marks are independent of any other marks, which means that they can be scored without other marks also being scored. If any Physics term is underlined or highlighted, it means that the exact term must be used in the answer and no other term is acceptable even if the meaning is the same, but grammatical variants of the term is accepted. If any non-Physics term is underlined or highlighted, it means that either the exact term or other terms with the same meaning must be used in the answer. If any words are placed in brackets, it means that the words need not be present in the answer for the mark to be scored. In the mark schemes, A means accept, I means ignore while R means reject. To prepare for Physics Paper 3 and Paper 5, you should go through all the past year questions and the mark schemes. Find out how every question is marked and which points need to be included in the answers. The pattern of questions set is similar for every year and you should familiarise yourself with the pattern. Usually, the same type of questions will have similar mark scheme, so this can help you when answering exam questions. You should remember the answers for questions that are common. For Physics Paper 3, I also suggest that you memorise my list of 20 common answers (see below) for the limitations and suggestions question which appears in the last part of Question 2. My list is based on the mark schemes for past year questions. Usually 3 of the 4 answers required can be found in my list, and the 1st answer in my list can be used for all experiments. Sometimes, only 2 of the 4 answers required can be found in my list, and sometimes, all the 4 answers required can be found in my list. Note that for the parts of the answers in my list that are placed in brackets, it means that you have to write those parts based on the context of the experiment. - Use a video camera with slow motion feature and timer to video the experiment with scale, then view the video playback frame by frame. Note: This answer should be used for experiments involving the temperature of liquid. Note: You should state in your answer the specific degree of precision for the limitation and the improvement. Note: This answer should only be used if the measurement is difficult to make and parallax error is very likely to occur. Note: No possible improvement for this limitation. You should write in your answer the improvement for any other limitation. Note: This answer should be used for electric experiments. - Use a video camera with slow motion feature and (the measuring device) to video the experiment with scale, then view the video playback frame by frame. Note: The same improvement can be used for limitations r, s and t.
When answering, read the question and all information given carefully. Make sure that you know what the question is asking for. Answer the questions based on your knowledge and understanding on the relevant topic in Physics. Certain questions may test you on more than one topics. For some questions, you may have to apply what you have learnt in Physics in order to answer them. You have to think carefully and relate the question to what you have learnt. You may also be asked to give your own opinions. When writing your answer, you can use the same or similar words or sentences as those in my notes or in the reference books if possible. However, sometimes you may need to make some changes in order to suit the question. You can also answer in your own sentences that have the same meaning. If the question asks on something that is not in my notes and the reference books (the question requires you to apply what you have learnt in Physics or give your own opinion), then you have to answer in your own sentences. For all questions, your answer must be specific and not too general. Give the most suitable answer according to the question. You should use the correct Physics terms in your answer. Do not replace them with other terms that are inappropriate, even if their meaning are the same. You should spell all Physics terms correctly. If you can't do so, try to spell it in such a way where it sounds the same as the actual term when read out. Marks are usually not deducted for spelling errors in Physics terms as long as it still sounds the same and that it is not easily confused with other terms. If you spell a non-Physics term wrongly or if you make grammatical errors in your answer, marks will not be deducted for as long as the examiner can understand what you are writing. You are allowed to use suitable short forms in your answer, especially for representing physical quantities or their units. When answering questions on calculation, you should show all workings. You should not skip any important steps. You must also write the correct unit for the final answer if it is not provided. You are advised to write down the formula used to solve the question, even though it is not compulsory to do so. The number of marks allocated for the question usually shows the amount of working needed. 1 mark will be given for each important step and the final answer. In some cases, if your final answer is correct, full marks will be given and the workings will not be marked. In other cases, marks can only be given for the final answer if the marks for working are scored, where correct answer without working scores 0 mark. Whichever case, if your final answer is wrong but some of your working is correct, you may still be given some marks. You are not allowed to write extra solutions or answers. If you do so and any of the answers or solutions is wrong, marks will be deducted. When copying figures from the question or from your answer for the previous part of the question, be careful not to copy wrongly. For a calculation question which requires you to use your answer from the previous question, even if your answer for the previous question is wrong and you use it for this question causing your answer for this question to be wrong, usually you will still get full marks for this question as long as your calculation for this question is correct. This is known as 'error carried forward'. For questions on 'show', 'prove', 'derive' or similar, usually marks are only given for the workings, not the answer, so it is important that you show complete workings, and explain your workings if necessary. When answering questions which requires you to give an answer as well as an explanation to your answer, such as questions that say 'State and explain', 'Suggest and explain' or something similar, it is very important that you give a complete and clear explanation. Marks can only be given for the answer if the marks for explanation are scored. Therefore, correct answer without satisfactory explanation usually scores 0 mark. On the other hand, if your answer is wrong but some of your explanation is correct, you may still be given some marks. In other words, 'explain' is more important than 'state' or 'suggest'. For questions that require explanation or description, your answer must be very detailed. You are advised to answer in complete sentences so that your answer can be easily understood. The number of marks allocated for the question usually shows the number of points needed in your answer. 1 mark is given for each correct point. Some of the marks (A marks) may be dependent on other marks (M marks), which means that they can only be scored if the other marks are also scored. Do not miss out any important points in your answer. You are allowed to write extra points in your answer, but you must be careful not to write any points with wrong facts. Marks will only be given for the correct points. For points that are irrelevant but does not contain wrong facts, no mark will be given or deducted. However, for points that contain wrong facts, marks may be deducted. During the test, read the question and all information given carefully. Make sure that you understand the experiment given. Certain parts of the question require you to record the readings from the experiment in a table. You should draw the tables before carrying out the experiment so that you can record your readings in the table straight away during the experiment. Then, carry out the experiment by following the steps given in the question exactly. You need to apply your Physics practical skills when carrying out the experiment. Certain questions may require your knowledge and understanding in Physics to answer them. You may also need to give your own opinions. Your answer must be specific and not too general. Give the most suitable answer according to the question. When recording readings from an measuring instrument (except metre rule, vernier calipers and micrometre screw gauge), the number of decimal places used should be equal to half of the smallest division of scale of the instrument (For example, if the instrument's smallest division of scale is 0.1, you should record the reading to the nearest 0.05, which is 2 decimal places.) For digital instruments (except digital stopwatch), the number of decimal places used should be the same as that shown on the display. The reading should be recorded to the nearest 0.1cm for metre rule, 0.01cm for vernier calipers, 0.01mm for micrometer screw gauge and 0.1s for stopwatch (both analogue and digital). In all cases, do not give more or less number of decimal places. You must also write the correct units. In most cases, you should take each reading twice, then calculate and record the mean of the 2 readings. Ensure that you show in your answer both readings and the calculation of their mean. However, for the part in Question 1 which requires you to record readings in a table, questions that carry only 1 mark and questions which states that repeated readings are not required, you only need to take each reading once and record it straight away. When plotting graph, draw both the horizontal and vertical axis on the graph paper correctly. Label both axis correctly and state the unit (if any). Use a suitable scale for both axis and do not use any odd scales such as 3:10. Both the x-axis and y-axis need not start from 0. The scales should be chosen such that the points plotted on graph cover at least half of the graph paper. The markings on the scales should not be more than 3 large squares apart. Plot all points on the graph accurately. The points should be accurate to half a small square. For all the points, their diameter should not be larger than half a small square. Then, draw the correct straight line or curve. When drawing the straight line or curve, it should pass through all points on the graph if possible. If this is not possible, the line or curve should pass through as many points on the graph as possible, all the points should be close to it and the number of points above and below the line or curve should be almost equal. When determining the gradient of the line of graph, choose 2 points on the line and draw a triangle. The distance between the 2 points chosen should be at least half the length of the line. When determining the y-intercept of the line of graph, if the x-axis starts from 0, you can read it off directly from the y-axis of graph, or if the x-axis does not start from 0, you should choose a point on the line, preferably one of the points that you used to calculate its gradient, and substitute its x and y values as well as the gradient into the equation y=mx+c to determine the value of c which is the y-intercept. For the part of Question 2 which asks you to estimate the percentage uncertainty in a particular value, in most cases the absolute uncertainty used to calculate the percentage uncertainty should be equal to twice the smallest division of scale of the instrument used to measure the value (For both analogue and digital stopwatch, the absolute uncertainty used should be 0.2s). This is because the measurement for this part is often difficult to be done accurately. For the part of Question 2 which asks you whether your results support the suggested relationship between 2 variables, you have to calculate the percentage difference between 2 values of a constant which is obtained in previous part of the question. The suggested relationship is supported if the percentage difference is 5% or less and not supported if the percentage difference is more than 5%. For the last part of Question 2 which is about limitations and improvements, I would suggest that you use answers from my list of 20 common answers (see above) that you memorised. The 1st answer in my list can be used for all experiments, so you should always use it. You should also choose other answers from my list which are relevant to the experiment. You may have to give 1 or sometimes 2 other relevant answers that are not in my list since usually not all the 4 answers required can be found in my list. You are not allowed to write more than 4 answers. If you do so, marks may not be given for the extra answers, and marks may be deducted if any of them is wrong. For all questions, you should use the correct experimental and Physics terms in your answer. Do not replace them with other terms that are inappropriate, even if their meaning are the same. You should spell all experimental and Physics terms correctly. If you can't do so, try to spell it in such a way where it sounds the same as the actual term when read out. Marks are usually not deducted for spelling errors in experimental and Physics terms as long as it still sounds the same and that it is not easily confused with other terms. If you spell other terms wrongly or if you make grammatical errors in your answer, marks will not be deducted for as long as the examiner can understand what you are writing. You are allowed to use suitable short forms in your answer, especially for representing physical quantities or their units. When answering, read the question given carefully. You have to design a suitable experiment based on the question, either to test whether the suggested relationship between 2 variables is valid or to determine the value of a constant. Your answer must include independent variable, dependent variable, variables to be kept constant, diagram of set-up apparatus, procedure, data analysis, safety precautions and additional details. For the independent variable and dependent variable, they can be obtained easily from the question itself and you should give one of each. For the variables to be kept constant, there is often more than one and you should give all of them that you can think of. Note that the term 'kept constant' or 'keep constant' must be used in your answer and no other terms are acceptable. You need not answer in complete sentences. For the diagram of set-up apparatus, show all the apparatus and material used in the experiment and label them correctly. If a diagram is provided by the question, you can use the same diagram, but it is usually not complete and you have to add other apparatus or materials to it. When writing the procedure, you must include the steps to measure the manipulated variable, responding variable and every variable to be kept constant. For each measurement, you should state the method and apparatus used. For some variables, you may have to measure other quantities in order to calculate them. You are advised to answer in complete sentences so that your answer can be easily understood. You should also include other steps required to set up the apparatus if you did not show them in the diagram. For the analysis of data, you should explain how a suitable graph should be plotted that enables you to test whether the suggested relationship between the 2 variables is valid or to determine the value of the constant. Sometimes, the graph may be a log-log graph or ln-ln graph. You should also show a sketch of the graph. Then, explain how to determine whether the suggested relationship is valid or to determine the value of the constant based on the graph. This often involves the gradient, y-intercept and rearranging of equation. For the safety precaution, you should state at least 2 potential safety hazards when carrying out the experiment and the ways to avoid each of them. For the additional details, 4 marks will be given and examples of them are how variables are kept constant, calibration of the measuring instruments and additional steps to improve the accuracy and reliability. You may have already stated some of them in other parts of your answer and it is not compulsory to write them again in this part. In this section, you should state the additional details that are not stated in other parts of your answer. For all parts of the question, you are allowed to write extra points in your answer, but you must be careful not to write any points with wrong facts. Marks will only be given for the correct points. For points that are irrelevant but does not contain wrong facts, no mark will be given or deducted. However, for points that contain wrong facts, marks may be deducted. You should use the correct experimental and Physics terms in your answer. Do not replace them with other terms that are inappropriate, even if their meaning are the same. 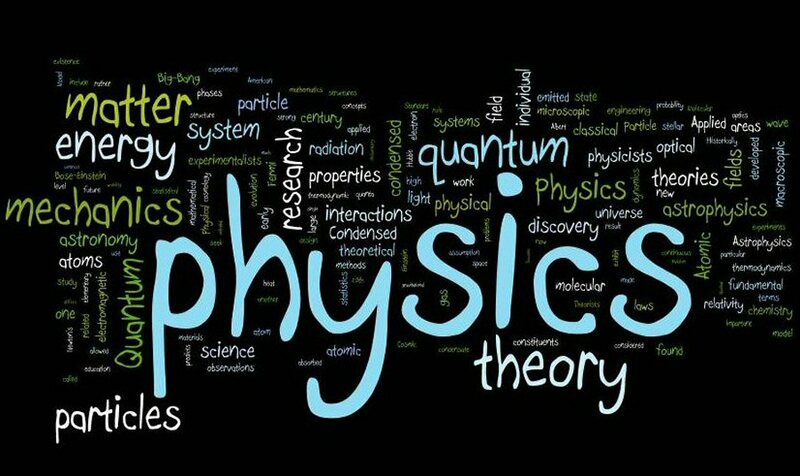 You should spell all experimental and Physics terms correctly. If you can't do so, try to spell it in such a way where it sounds the same as the actual term when read out. Marks are usually not deducted for spelling errors in experimental and Physics terms as long as it still sounds the same and that it is not easily confused with other terms. If you spell other terms wrongly or if you make grammatical errors in your answer, marks will not be deducted for as long as the examiner can understand what you are writing. You are allowed to use suitable short forms in your answer, especially for representing physical quantities or their units. When answering, read the question and all information given carefully. Make sure that you understand the experiment given and know what the question is asking for. Answer the questions based on the experiment and its observations and results. You may need to apply your Physics experimental skills to answer some questions. Certain questions may require your knowledge and understanding in Physics to answer them. For the graph, plot all points on the graph accurately. The points should be accurate to half a small square. Then, draw the error bars based on the uncertainties of the values given in the question. After that, draw line of best fit. The line should pass through as many points on the graph as possible, all the points should be close to it and the number of points above and below the line should be almost equal. Next, draw the worst acceptable line. It should be either the steepest possible line which passes from the top of top error bar to the bottom of bottom error bar or or the shallowest possible line which passes from the bottom of top error bar to top of bottom error bar. The line must also pass through all error bars. When determining the gradient of line of best fit, choose 2 points on the line and draw a triangle. The distance between the 2 points chosen should be at least half the length of the line. For the uncertainty in gradient, you should also determine the gradient of worst acceptable line using the same method. The uncertainty in gradient is equal to the difference between the 2 gradients. When determining the y-intercept of line of best fit, usually you cannot read it off directly from the y-axis of graph since the x-axis does not start from 0. Instead, you should choose a point on the line, preferably one of the points that you used to calculate its gradient, and substitute its x and y values as well as the gradient into the equation y=mx+c to determine the value of c which is the y-intercept. For the uncertainty in y-intercept, you should also determine the y-intercept of worst acceptable line using the same method. The uncertainty in y-intercept is equal to the difference between the 2 y-intercepts. When calculating the uncertainty in a calculated value, use your knowledge in uncertainties that you learnt in Chapter 2 for AS Level. However, if the calculation is too complicating or if it involves logarithms, there is an alternative method. For this method, you have to determine both the maximum value and minimum value of the calculated value by using the maximum values and/or minimum values of the raw values used in the calculation of the calculated value based on their uncertainties. You have to be very careful to ensure that the maximum value and minimum value you determined are correct. The absolute uncertainty is equal to half of the difference between the maximum and minimum value. For any questions involving calculation, the number of significant figures of your answer should be equal to or one more than the number of significant figures of the raw value used in the calculation with the least number of significant figures. For absolute uncertainties, the number of decimal places should be equal to the number of decimal places of the value. You should show all workings and do not skip any important steps. You must also write the correct unit for the final answer if it is not provided. You are not allowed to write extra solutions or answers. If you do so and any of the answers or solutions is wrong, marks will be deducted. For a calculation question which requires you to use your answer from the previous question, even if your answer for the previous question is wrong and you use it for this question causing your answer for this question to be wrong, usually you will still get full marks for this question as long as your calculation for this question is correct. This is known as 'error carried forward'.